I don't think I've ben this excited about a movie since The Muppets Take Manhattan. That goes down with Breakfast at Tiffanys, Desperately Seeking Susan, King Kong, Moonstruck, Westside Story, Working Girl as the quintessential movies about New York that inspired me to move here. I can't wait to see Miss Piggy where she belongs again. On the big screen. 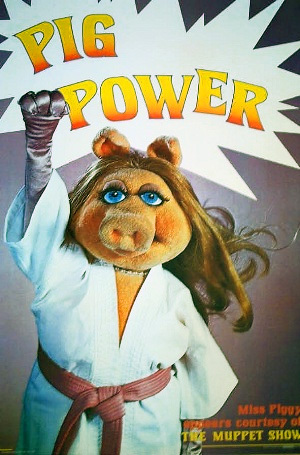 PIG POWER!